Tickets to Asia are usually north of $1,000 and sometimes close to $2,000. You can use Citi ThankYou points to fly there free by booking your flight with the Citi Travel Center or by transferring the points to one of the Citi’s airline partners. Booking through the travel portal is rarely a good deal though, due to the high cost of the ticket. Transferring points to a frequent flyer program is generally a more prudent choice. We give you the lowdown on which programs are the best transfer options. Of these airlines, some don’t fly to the U.S., some have high fuel surcharges, and others are notoriously difficult to redeem for partners’ flights. 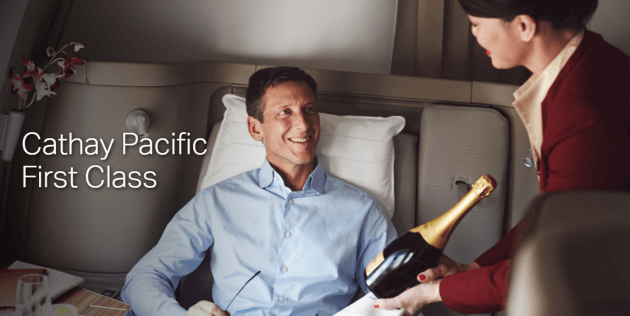 One program that does stand out is Cathay Pacific Asia Miles. The Hong Kong based airline is one of the best in the world. It offers a great product, food and services in all classes. Its economy class cabin is solid with comfortable seats and great personal entertainment systems. Cathay’s premium economy seats and service are on par with domestic U.S. business class, and the food is usually better. A business class cabin features full lie-flat seats, each with an aisle access; and its first-class cabin is legendary – with only six spectacularly spacious seats per cabin, it affords unprecedented privacy and features impeccable service and gourmet food. Cathay Pacific flies from the following U.S. cities: Boston, Chicago, Los Angeles, New York (JFK and EWR) and San Francisco. Cathay Airlines Asia Miles is a distance-based program, so your mileage will vary depending where you’re flying from. 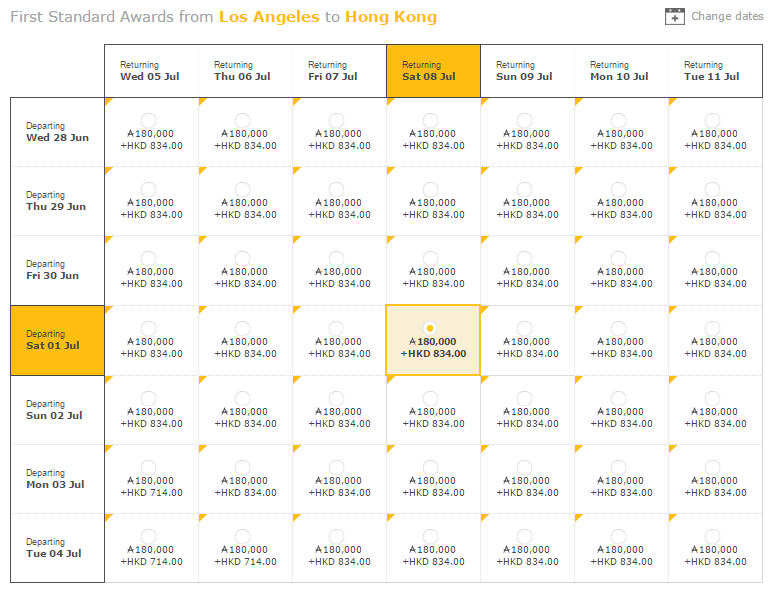 In general, Cathay awards are reasonably priced, with Premium Economy being an absolute bargain. Here are a few examples between Hong Kong and New York and Los Angeles. In both cases, Premium Economy is only 20 percent more than coach, and you must seriously consider spending a few more miles to get much more comfort on these long flights. 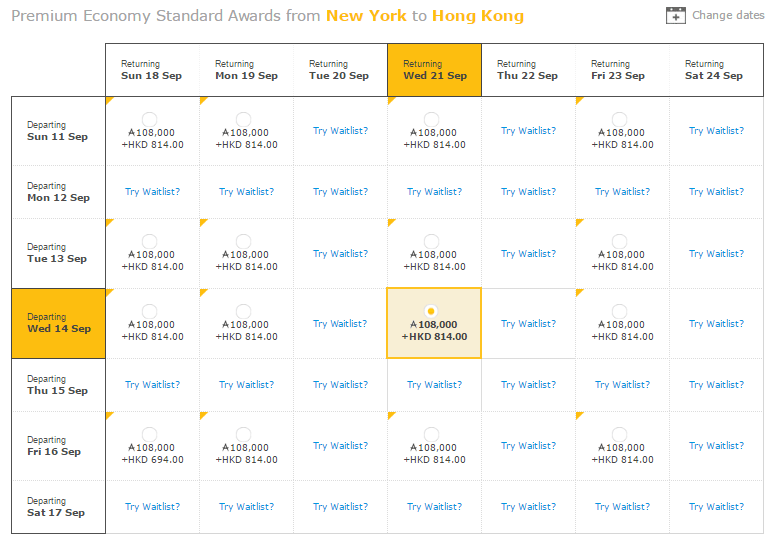 Cathay award availability for Asia Miles members is usually very good, although you should book in advance for business and first. Finding two seats at the same time in first class is hard, but finding one award is usually easy. Cathay Pacific and its subsidiary Dragon Air can take you beyond Hong Kong to 60 other destinations all over Asia. 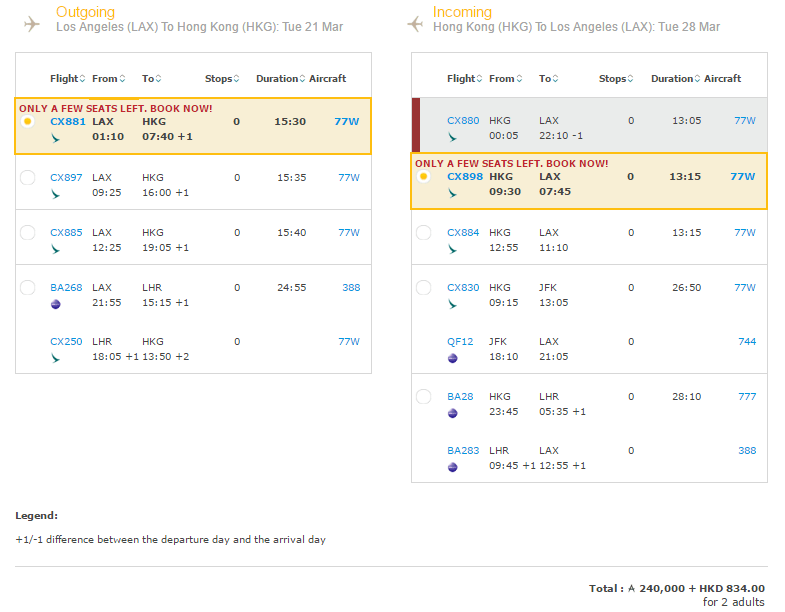 Asia Miles doesn’t limit you to flying Cathay Pacific and Dragon Air. You can also redeem miles on oneworld carriers, as well as Cathay Pacific individual partner airlines. Here is the full list of Cathay Pacific partners. Two stopovers on Cathay Pacific/Dragonair and up to five stopovers, two transfers and two open-jaws on a Cathay Pacific round trip ticket, subject to the particular airline’s rules and restrictions. This policy makes it one of the best stopover policies from a major airline. You can book online, but only simple flights on Cathay Pacific, Dragonair, British Airways, Qantas Airways, Qatar Airways, and Finnair. If you want to take advantage of stopovers, you’ll have to call. You will also have to call if you want to redeem Asia Miles on other partners. Be aware that some Cathay agents are poorly trained on intricacies of complex routings, so you might need to be patient. How to Transfer ThankYou Points to Your Asia Miles Account. You can transfer points online or over the phone, and both ways are equally easy. Please note that transfers are not immediate, and can take about up to 24 to 48 hours to complete. Also keep in mind that once you hit that website button or confirm your request to the agent, your points will be moved and cannot be returned. If Cathay Pacific doesn’t work for your travel plans, there are other options. Transferring miles to Etihad can be a terrific deal, but keep in mind that you always have to call. American Airlines doesn’t have a lot of routes to Asia, but if you can find a flight that suits you, you can save a lot. Etihad has an incredible AA chart with all pre-devaluation values. For Seoul or Tokyo, for example, you will pay only 25,000 to 32,500 miles in economy, 50,000 miles in business and 62,500 miles in first each way. Please see this post to learn how to book an AA flight with Etihad. Since Etihad Guest has award charts for every partner, there is also a chart for ANA. If you’re looking for a simple flight to Japan, it will cost you 37,000 miles in economy and 63,000 in business for a one-way trip from L.A. Travel from the east coast will be more expensive – 43,000 in economy and 78,000 miles in business from New York. 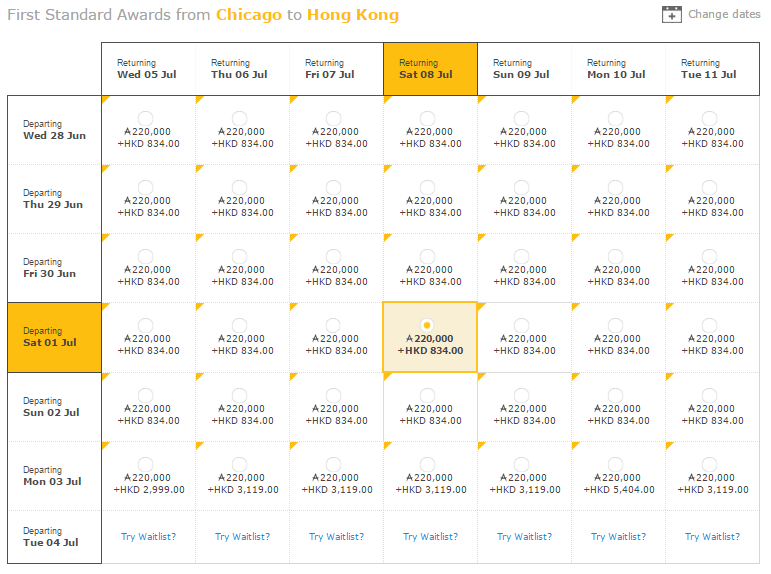 Of course, there are other interesting transfer options, but you get a very good deal with either Cathay or Etihad for booking an award flight to Asia. Keep in mind that getting an agent to find the award may not be easy. If you know that the flight is available and the routing is stays within their rules, but still encounter a problem, the best way to deal with it, is to hang up and call again. The next agent mat be better trained and more knowledgeable.